An independent report into coal seam gas has made two key findings. In 2011, the Australian Council of Environmental Deans and Directors (ACEDD) asked Dr John Williams, former Chief of CSIRO Land and Water Division, to review the science on coal seam gas. John’s report, now released, is probably the most independent, disinterested nationwide analysis yet undertaken of unconventional gas in Australia. This report is entirely uncompromised by either industry or activist-group funding. The report makes two key findings. One, environmental risks (especially groundwater) are serious and neither decommissioning wells nor replenishing aquifers have been properly considered. And two, this is just another land use that needs to be regulated like the others; it shouldn’t be seen as a bogeyman, nor should it enjoy exemptions from laws that other land uses have to comply with. Williams asserts that thorough, independent risk assessment is essential if policy is to respond appropriately to cumulative impacts — positive and negative — of CSG exploration and production. Do we want degraded and collapsing landscapes? If the answer is “Yes” then we appear to be well on the way. If the answer is “No” then we need to seriously reconsider and re-think how we make decisions about how we use our landscapes. The approach they recommend is to work out what the landscape can sustain: how much degradation can the landscape incur before it starts to lose function? Current development approval processes should be updated to assess CSG (or any other) developments only on the basis of landscape limits and the expected cumulative impacts of the existing and proposed developments. Environmental impacts & risks: death by a thousand cuts? extracted water needs to be replaced at decommissioning. contamination or loss of water from aquatic ecosystems. Many of these potential impacts may be relatively minor if gas well operations are sparsely distributed. In practice, wells are often spaced less than 1000 metres apart. Where gas operations impose densely on the landscape, they can be expected to compound each other. They may generate new impacts we can’t currently predict. Industry and government assurances about environmental management are upbeat. But some environmental, community and farmer groups in Queensland and NSW have raised concerns that on-ground oversight and regulation of the CSG industry is playing catch-up at best. Williams describes the piecemeal and often toothless regulation across state borders and the exemptions that CSG operations enjoy from, for example, native vegetation laws. In NSW, if CSG projects are defined as State Significant Developments they are exempt from a wide range of controls and approvals required for other land uses. Queensland has more experience with CSG and its framework is more mature, recognising the issue of cumulative impacts from multiple projects. But it still struggles with analysis at a landscape scale. Neither state has a Strategic Environmental Assessment Plan for CSG, nor has a comprehensive Social Impact Assessment been undertaken. One of the main arguments for CSG and other unconventional gases is that they are considerably cleaner than coal. It’s true that they don’t produce detrimental by-products such as sulfur, mercury and ash. And during combustion they provide twice the energy per unit weight with half the carbon footprint. But they do produce methane, a potent greenhouse gas with 25 times the global warming potential of CO2. Assessment of fugitive methane emissions from CSG and shale gas production should be based on robust scientific observation and prediction. No independent Australian field studies have been done to date. In its greenhouse emissions impact, gas is no better than coal if the gas must be converted into and back from a liquid before it can be burnt. This happens with CSG shipped overseas. But burning domestic gas instead of coal avoids the liquefaction step, and consequently produces less greenhouse gas emissions overall. Industry claims a 70% reduction in greenhouse gas emissions from burning CSG instead of black coal. A recent NSW Parliamentary Inquiry concluded that CSG emissions are, at worst, likely to equal those from coal. 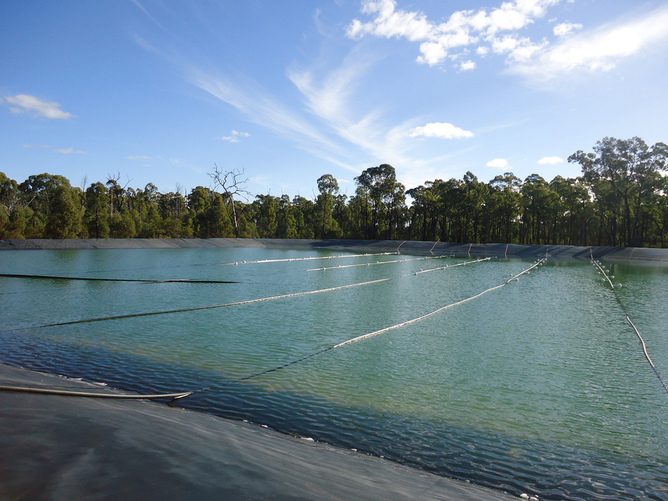 Again, a full life cycle analysis of CSG operations, including managing the environmental externalities of dewatering and disposal of wastewater, would be required in order to compare net greenhouse gas emissions with coal or any other energy source. Gas production, just like other existing and accepted land-uses, poses risks to the condition of nearby water, soil, vegetation and biodiversity. It has the potential to reduce the capacity of renewable natural resources to supply human, as well as ecological, needs. The surface footprint of CSG operations to date is modest compared with agriculture, or even irrigation. But superimposed on those it is still very significant, and long-term underground impacts may dwarf surface disturbance. Unresolved technical issues are a legitimate concern, especially around groundwater impacts and issues associated with both the disposal/re-use and replacement of large volumes of water.